I’m not sure if I’ve ever enjoyed my life more than right now. Such a great way to start off a Tuesday, right? But it’s true. I’m really incredibly happy. Last week Ambitious Kitchen turned 4 years old. I made you a cake and wrote you all giant inspirational love letter (coming soon!). Tony and I also found a new apartment and signed a lease last week, which means we’ll be staying in Chicago for at least another year (!!!!). I’m working on a new photography project with my good friend Sarah of Broma Bakery. And finally, I’m traveling a ton the rest of the year. All good things. In areas of my life where I don’t feel settled, I must remind myself that it’s always best to work towards something. That no matter what, your life will never be quite complete. There will always be a goal to accomplish, something to create or an emotion to feel. Right now, I’m taking it all in one day at a time and just attempting to do things I haven’t done before. What I can say is that I have never been a person with a plan for my life. I only hope to live it in abundant joy each and every day. This includes making peanut butter chocolate chip banana bread and jamming out to Mariah Carey while my cat meows at me from the top of the refrigerator. It just works. 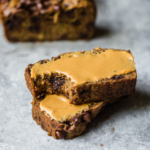 Now if you’ve been an AK reader for a while, you may know that my love for banana bread sits close to my love of nut butters. I practically sit and stare at the bananas on the counter waiting for their skins to start speckling with black spots so I can start baking. The banana bread creation I dreamed up this time is UNBELIEVABLY tasty. You think I say that about everything (true) but this one is for all of my peanut butter loving + gluten free friends. I used a combination of two different flours in this recipe: Ancient Harvest Quinoa Flour and oat flour. 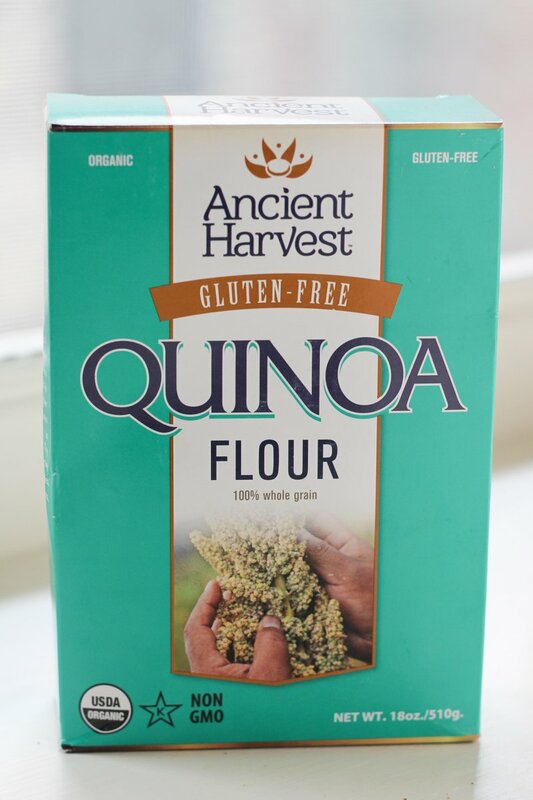 The Ancient Harvest Quinoa flour is fantastically soft and packed with protein, however, it can be slightly bitter tasting. But don’t worry, all it takes is a quick toasting of the quinoa flour on the stove top to get rid of any funky taste. And then you will love it FOREVER. 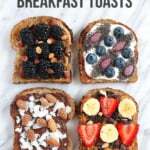 The oat flour gives the bread a nice chew and also provides a good amount of fiber. And I mean all of this with peanut butter, banana, and chocolate chips? Pretty much makes me want to do a backflip because its the most epic combo. Lastly, not only is this bread gluten free but it’s also dairy free, soft and full of both banana and peanut butter flavor. Favorite way to serve it? With more peanut butter spread on top, of course. 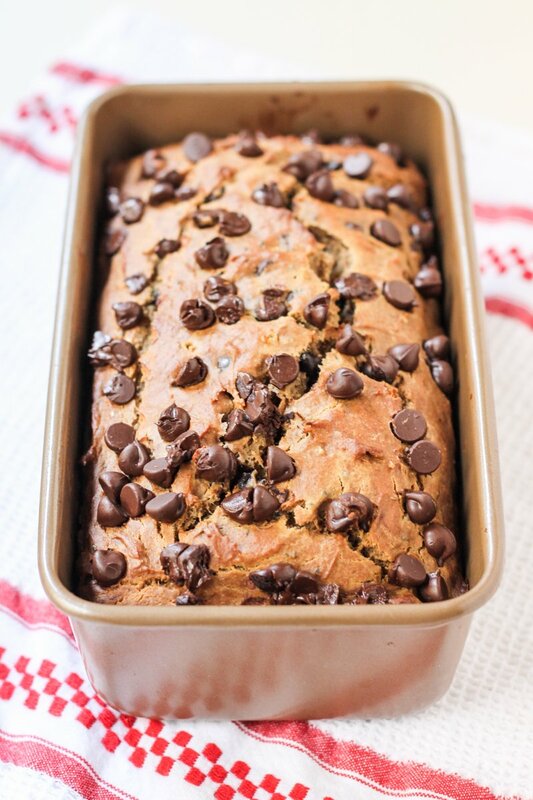 This Peanut Butter Chocolate Chip Quinoa Banana Bread is packed with peanut butter flavor and studded with chocolate chips. No butter, oil, dairy and made with nutritious gluten free quinoa & oat flour! First, toast your quinoa flour by placing a large skillet over low heat. Add in the quinoa flour and stir every few minutes for 10-15 minutes. This will remove the bitterness and overwhelming quinoa flavor from the flour. Preheat oven to 350 degrees F. Grease 8x4 inch or 9x5 inch loaf pan with nonstick cooking spray. In a large bowl whisk together toasted quinoa flour, oat flour, baking soda, cinnamon and salt. In a separate large bowl, beat together bananas, honey, egg, peanut butter and almond milk until smooth and creamy. Add dry ingredients to wet ingredients and mix until just combined. Next slowly fold in chia seeds and chocolate chips. Pour into prepared pan and bake for 45-55 minutes or until toothpick comes come clean or with just a few crumbs attached. Cool on a wire rack in pan for 10-15 minutes then cut into 16 slices and enjoy! Feel free to use almond butter instead of peanut butter. Do not sub any other flour for the quinoa flour. However you can sub white whole wheat flour or whole wheat pastry flour for the oat flour with good results. This is only if you are not GF. This post is sponsored by Ancient Harvest, which is a natural fit for Ambitious Kitchen and the recipes we make. Thank you for continuing to support AK and the brands that help make this site possible! 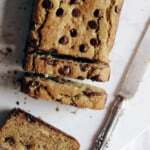 45 Responses to "Peanut Butter Chocolate Chip Quinoa Banana Bread"
Is there a way to make quinoa flour from the quinoa grain? Love the addition of the quinoa flour! What a great way to pack protein in for a busy school morning! Pinned. Can’t resist banana bread! I’ve never tried it with quinoa, but it’s certainly intriguing! Those chocolate chips have me salivating like crazy! 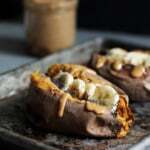 What an excellent way to use up bananas! I have never tried quinoa flour like that before out of fear that it would not create a ‘bread-like’ consistency, however this has me rethinking it ;). Love your talk about always working toward something in areas where you feel unsettled. I always remind myself of that too! 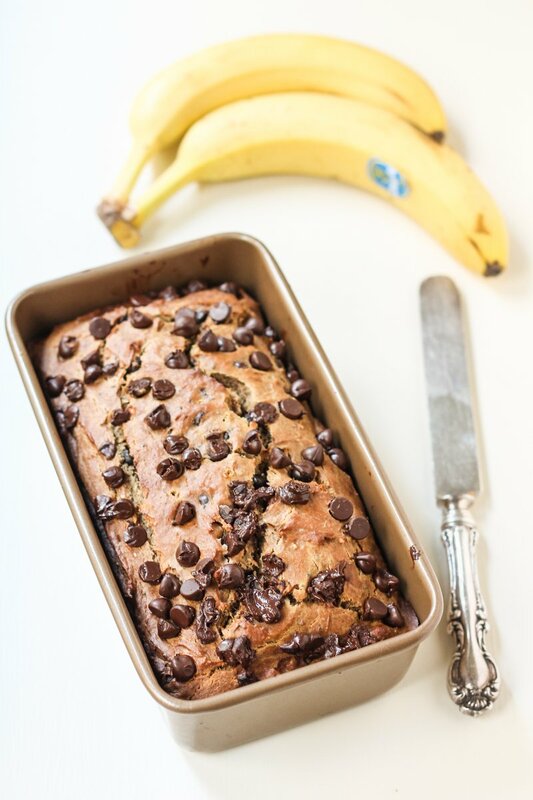 And that banana bread….yum!! I can just imagine snacking on a slice slathered with more peanut butter. mariah carey and banana bread and cats sound pretty good to me (; haven’t had banana bread in a while because i’ve been preoccupied with all the berries and melon and stone fruit, but this has me willing the bananas on my counter to ripen, too. Does this flour contain corn? No, quinoa flour is made from the quinoa seed only. This bread looks super tempting! And packed with chocolate! Isn’t it the best when you take a look at your life and just see blessings and feel gratefulness? I’m super content as well. Banana bread is one of my favorites! I totally need to try this! Like I needed another reason to adore quinoa. 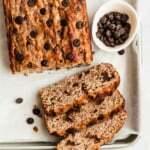 This quick bread looks amazing! This is such a great idea! I’ve never heard of quinoa flour, but I so want to try this! This looks amazing buddy. Keep watching those bananas. That’s so wonderful! Yay you!!! It’s so nice when the stars are all aligned and life is fabulous! As for this bread…. kudos big time!! You hit all of my favorite flavors wrapped up in one perfect slice of bread! Cheers to blog anniversaries, new apartments, projects with friends and lots of travel opportunities!! Congratulations lady! 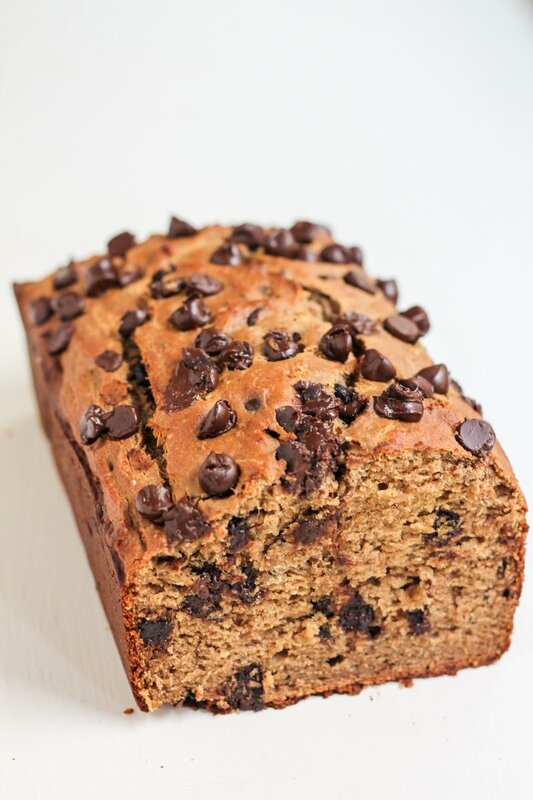 This bread sounds pretty magical as, PB chocolate chip quinoa banana bread = my soon to be breakfast!! BANANA BREAD YOU SAY?! AHHHH-MAAAAAYYY-ZING! 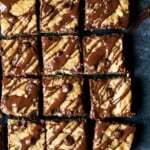 Thanks for sharing this supremely tempting recipe — with awesome photos! I’ve not seen quinoa flour, but Id love to get my hand on it. This looks perfect, just needs to be warm with a slab of butter. I love your Mariah Carey snaps and I am loving this bread! Can’t wait to read the inspirational letter. Your Mariah and cat snaps are THE best. Also the best?? THIS BREAD. Just get out with the deliciousness, girl! This recipe is timed perfectly: I have a bunch of overripe bananas and quinoa flour to use up! This looks delicious! 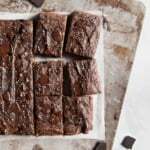 Yummy–I have to make this! Just made this recipe today-but into muffins!! Super yummy!! This looks amazing! Side note- that knife is gorgeous! i find that quinoa is simply too expensive for me so i tried the recipe with instand oats (resembles oat flour) instead of quinoa flour and it is simply the best banana bread of all times. it’s very moist and sweet. very impresive. even better than banana bread made with flour and oil. this looks amazing…but i am gf and allergic to oats…any suggestions what i can use in place of the oat flour? thanx. This sounds great but can it be made w/out the egg to make it vegan? If so, what do I replace it with? Thx! I’m def going to try the recipe this friday. Mix the water and chia seed in a small bowl. Allow to sit for 5 minutes or longer, and the mixture will be sort of gooey, like an egg. If you want, you can grind the chia seed first. Can you make the quinoa flour by grinding up quinoa? I’ve made this twice now! I really like that it is a filling, protein packed bread that keeps me full until lunch if eating for breakfast. How do you usually store this bread? I’ve found after two days wrapped in tinfoil or in a tupperware it starts to crumble a lot when I try to cut it. Any suggestions? I found this bread incredibly dry and dense. To the point of feeling like I just wasted all of those nice ingredients! I cannot eat egg whites. Is there a way to work around this ? I’d love to try this recipe. Surprisingly good. I was scared because only 2 tablespoons of maple or honey? But I love it. I have eat half alone. I have tried several recipes you create and all of them really good specially quinoa flour waffles. You are good with quinoa flour and bananas. Thanks. Your recipes are part of my kitchen.